Since we live in such a digitally driven world, the sight of handwritten calligraphy on an envelope, décor or signage is unique, eye-catching and beautiful. When incorporated into your wedding or event, it can really add a stylish and personal touch to your special day. Hand addressed wedding invitation envelopes have become very popular, and truly sets apart the rest of the mail in your guests’ mailboxes. There is really nothing quite like opening your mailbox and, amid the junk mail and bills, finding your name handwritten in beautiful calligraphy. 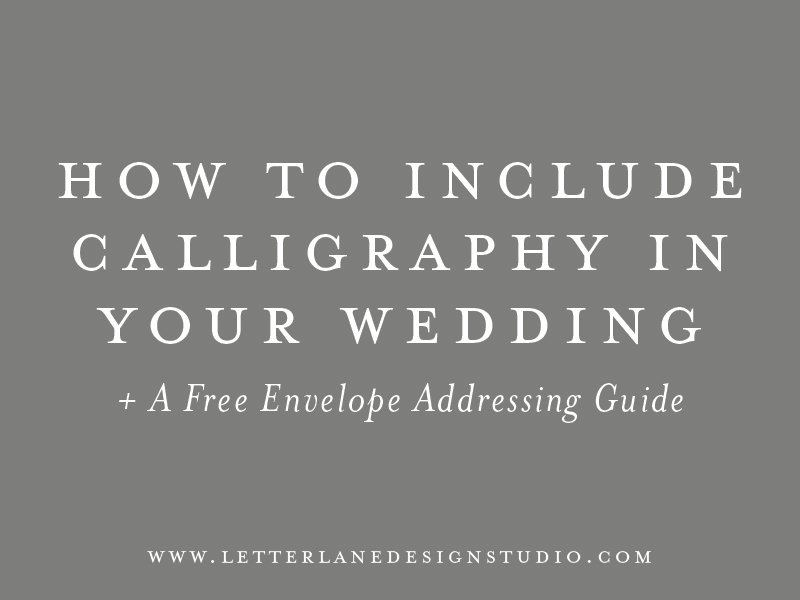 Having a calligrapher address your invitation envelopes will show how much you care about your guests and will impress them with the extra time devoted to their invitation. 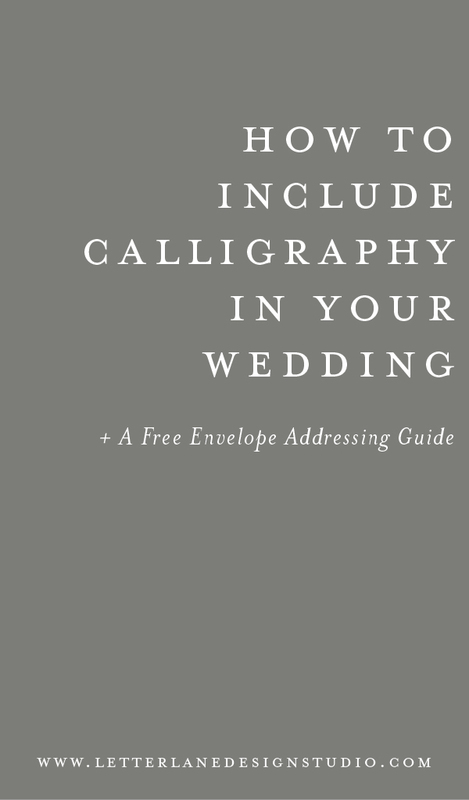 Another option is to include calligraphy on your actual invitations and accompanying stationery. 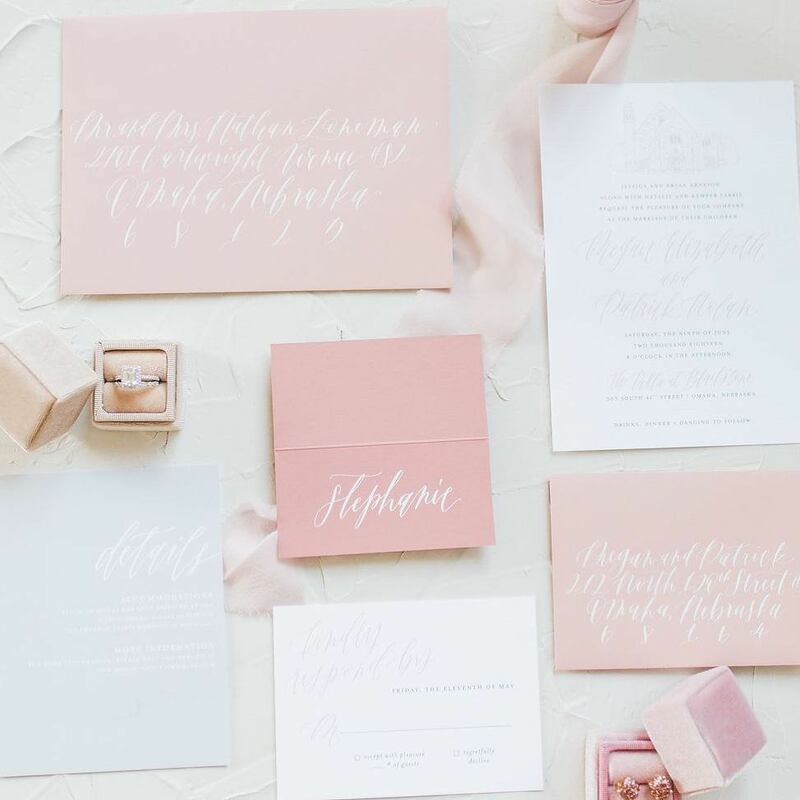 Custom calligraphy on your wedding stationery is a great way to give your guests an amazing first impression of what your special day will be like. When a guest sits down at one of your reception tables, you want the experience to be beautiful, whether it is with a place card that has their name on it, a table number, a menu or anything else you’d like to include at the table. It will add a very special touch to the spot where your guest will be spending the majority of their evening. Another option to consider for how to include calligraphy in your wedding is with signage. Signs like “Welcome to Our Wedding” or “Please Sign Our Guestbook” add a very special touch for guests as they are first arriving to the ceremony. When they reach the reception, a large seating chart or a large menu are great eye-catching ideas for those guests arriving for the post-ceremony celebration. Truthfully, there is no wrong way to include calligraphy in your wedding. From your stationery to your table décor to your signage, you really can’t go wrong. By choosing to include calligraphy in your wedding, you will add a very special touch to your big day, and will likely be something your guests talk about for years to come.